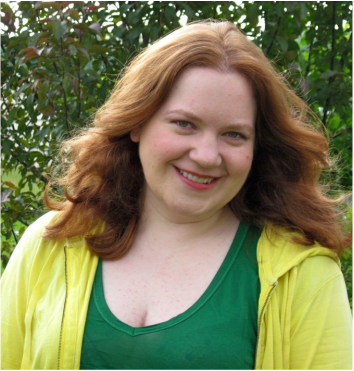 Theresa Pascoe has become a true choral geek since moving to Manhattan in 2009. Currently a member of The Stonewall Chorale, Melodia Women’s Choir, and the choir of Metropolitan Community Church of New York, she has appeared as a soloist with all three ensembles. In 2014, under the direction of Cynthia Powell at a West Village Chorale Summer Sing, Theresa sang the Soprano II solos in Mozart’s Mass in C Minor, and she is thrilled to join the Litha Symphony Orchestra’s performance of Mozart’s Mass in C Major. 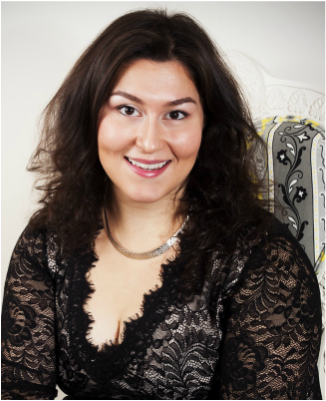 When she is not singing, Theresa is the Director of Budget and Planning at Barnard College. Born and raised on Long Island, NY, Helen Y. Esposito studied at Nassau Community College with a focus on vocal performance. The mezzo-soprano competed in the National Association of Teachers of Singing classical voice competition and placed first twice. She also competed in the Associated Music Teachers League Young Musicians Concert where she claimed first place and the Dr. Florence Wong Hong award. The AMTL featured her in their Winners Showcase at the Greenwich House Music School. Her passion for performing has led her to various venues, including Weill Recital Hall at Carnegie Hall and Steinway Hall. She currently holds the position of lead cantor at St Edward Confessor Church in Syosset, NY. American Tenor, Lindell O. Carter, has been noted as a “promising young tenor ... who lacks nothing in power and carry” (Classical Voice of North Carolina), and praised for “his rich timbre and ringing, easy top” (London Herald). Singing a wide repertoire on the stage, operatic credits include the title characters in Massenet’s Werther, Offenbach’s Les Contes d’Hoffmann, and Dubussy’s L’enfant Prodigue. Other notable appearances include Il Duca (Rigoletto), Cavaradossi (Tosca), Des Grieux (Manon), Jenìk (Smetana’s Prodaná nevesta), Erik (Der fliegende Holländer), Alfredo (La Traviata), Riccardo (Un Ballo in Maschera), Rodolfo (La Bohème) and several other leading tenor roles. Engagements this season include debuts as Enzo Grimaldo (Ponchielli’s La Gioconda), Vaudémont (Tchaickovsky’s Iolanta), and Alfred (Die Fledermaus). Just as at home on the concert stage, Lindell has appeared in recitals and concerts in New York City, across the United States, and in London, Italy, France, and in Spain in concert of singers selected by Montserrat Caballé. His concert credits include tenor solos in Beethoven’s Christus am Ölberge, Choral Fantasy, and Symphony No. 9; Mahler’s Das Lied von der Erde; Verdi’s Messa di Requiem; Händel’s Messiah; Dubois’ Les Sept Paroles du Christ; and Mozart’s Requiem in D. A native of the Bronx, NY, Lindell holds a BM in Vocal Performance and BA in French Language from the University of North Carolina at Greensboro. Antoine Hodge, Bass-baritone, is quickly gaining widespread attention across the country for his versatility and commanding stage presence. The 2014-2015 season will see him in a variety of performances, including his debut with New York Opera Exchange as Raimondo in Donizetti’s Lucia di Lammermoor and Zuniga in Bizet’s Carmen, a return to Central City Opera as King Balthazar in Menotti’s Amahl and the Night Visitors and Bass Soloist with the Colorado Springs Philharmonic in Gerald Finzi’s In terra pax. Previous performances for Antoine include Colline in Puccini’s La bohème with Loveland Opera Theatre, Don Magnifico in Rossini’s La Cenerentola with Boulder Opera Company, Magi in David Conte’s Gift of the Magi and King Balthazar in Menotti’s Amahl and the Night Visitors with Opera Fort Collins, as well as a host of symphony debuts with the Greeley Philharmonic, Chamber Orchestra of the Springs, and Fort Collins Symphony. This summer, Antoine will be joining Utah Festival Opera as Colline in Puccini’s La bohème.